« HAPPY METAL BIRTHDAY MATT SORUM! 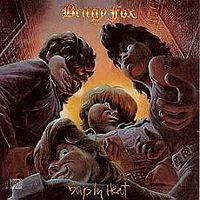 This entry was posted on November 20, 2009 at 1:04 am and is filed under 1980's hair metal albums, 1980's hair metal bands, 1980's heavy metal albums, 1980's heavy metal cover songs, 1980's heavy metal bands, 1980's heavy metal music, 1980's heavy metal songs, 1980's metal bands, 1989 heavy metal music, Album Review, collecting heavy metal albums, cool album covers, cover songs, glam metal, glam metal music, Hair Metal, hair metal music, hair metal music genre, Heavy Metal, heavy metal album covers, heavy metal album review, heavy metal albums, heavy metal albums 1989, heavy metal bands, heavy metal cover songs, heavy metal guitarists, heavy metal music, heavy metal music 1989, heavy metal vocalists, metal odyssey, Music, old school heavy metal, old school heavy metal bands, rock music with tags 1980's hair metal albums, 1980's hair metal bands, 1980's glam metal bands, 1980's hair metal music, 1980's hair metal songs, 1980's heavy metal music, 1989 glam metal music, Album Review, billy childs bass guitarist, boys in heat album, britny fox, britny fox hair metal band, dean davidson vocalist & guitarist, hair metal albums 1989, hair of the dog cover song, Heavy Metal, heavy metal bands, heavy metal music, johnny dee drummer, metal odyssey, michael kelly smith guitarist, Music, nazareth hard rock band, rock music. You can follow any responses to this entry through the RSS 2.0 feed. You can leave a response, or trackback from your own site. WOW. There’s a blast from the past!! Another band that was destroyed by the Grundge Invasion! I always thought they were a decent, underrated band. You’re right the vocalist does sound a lot like Cinderella! 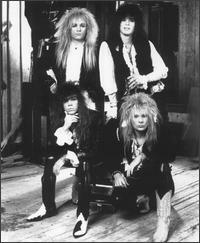 Long Live 80’s Hair Metal> Thanks for blogging about some of these odd forgotten bands/albums! !